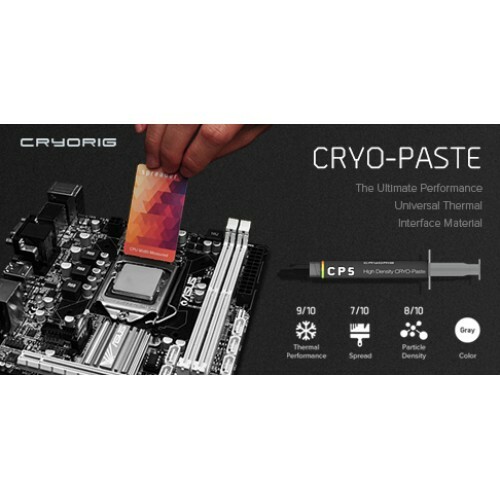 Cryorig CP5 CRYO-PASTE Specialized Spreader Included in each package of CRYORIG’s CRYO-Paste line of products, is a specialized spreader designed specifically for thermal interface application.The spreader’s dimensions specifically designed to best match common CPU widths. 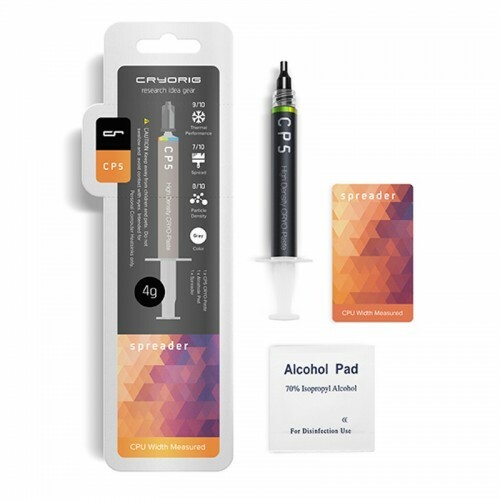 The flexibility of each card is also designed to give the optimal amount of pressure on the application surface to insure a flawless spread.Included in each CRYO-Paste products is a package of 70% pharmaceutical grade Isopropyl Alcohol Pad. 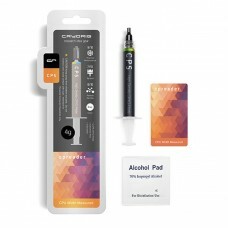 Isopropyl Alcohol is non toxic and one of the best choices to clean your CPU surface before a CRYO Paste application. 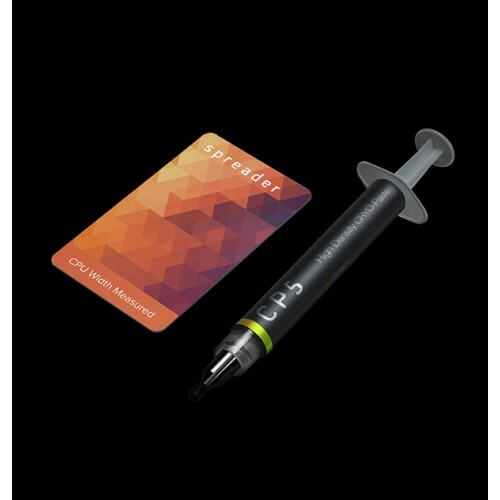 Stop residue and dust from previous installs from obtaining the best thermal results.